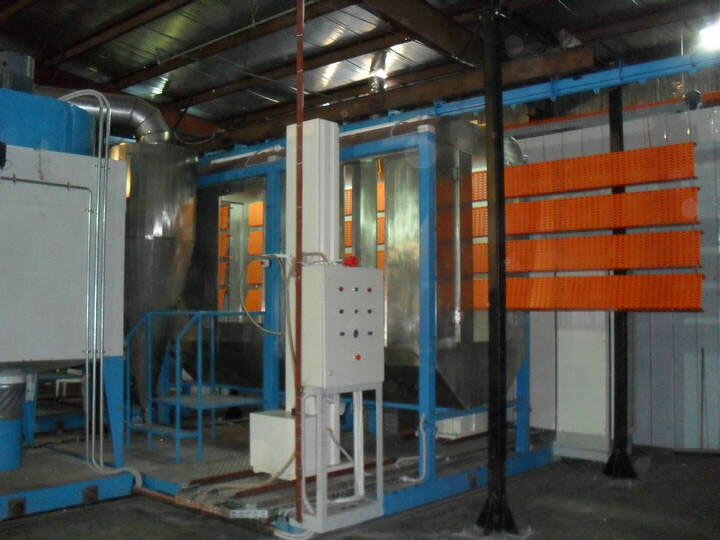 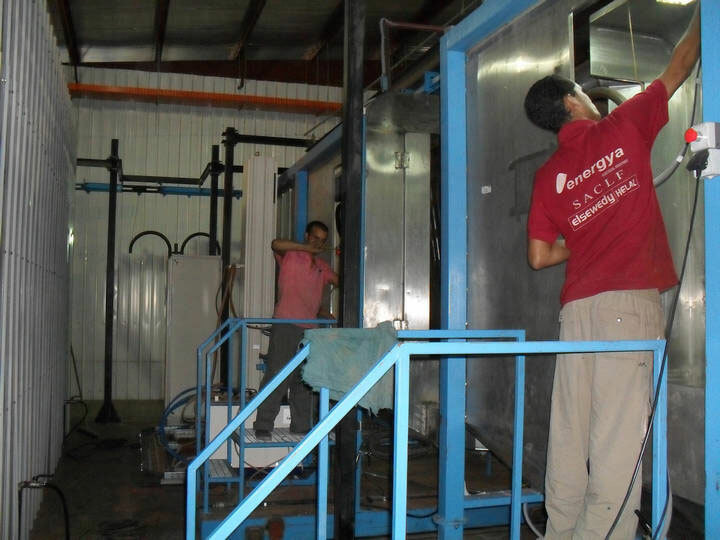 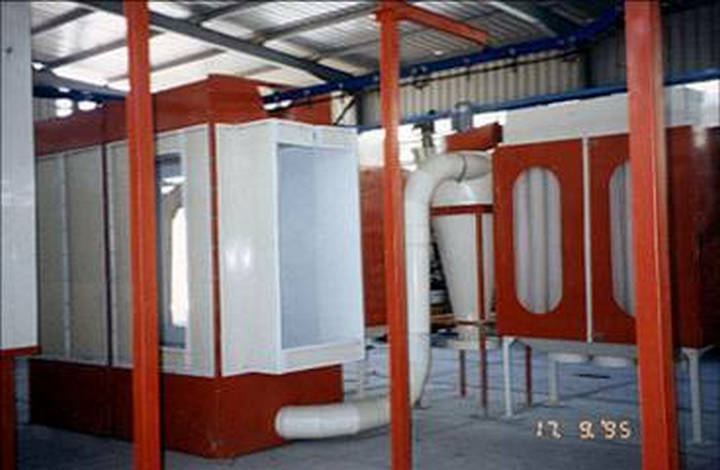 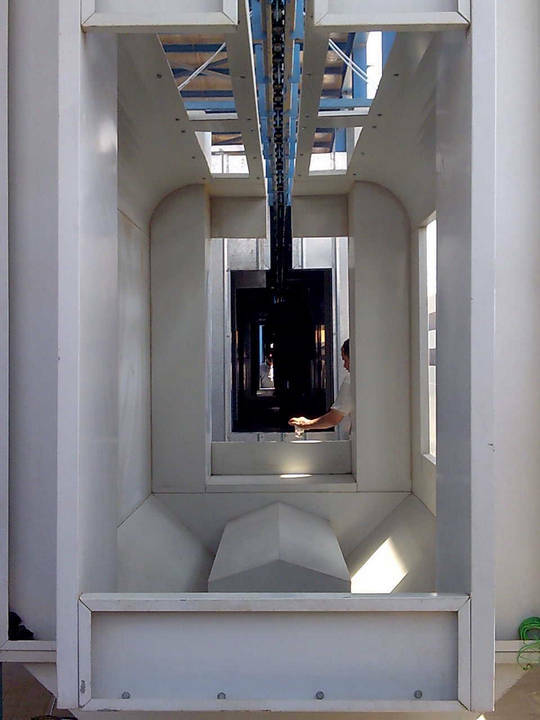 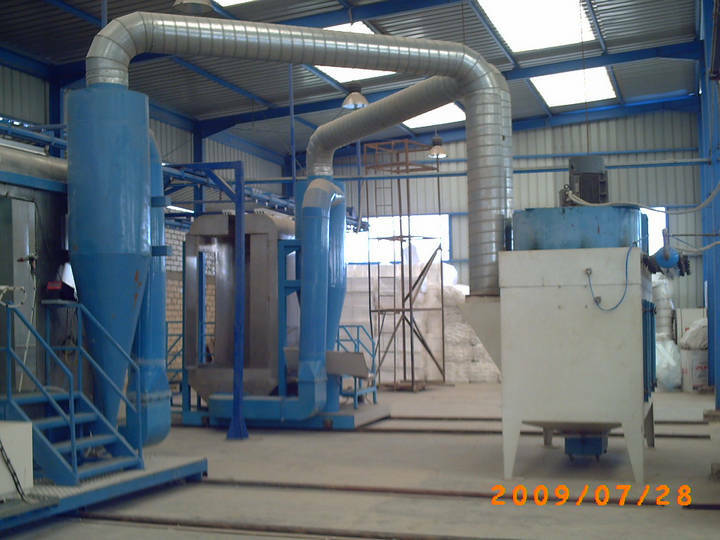 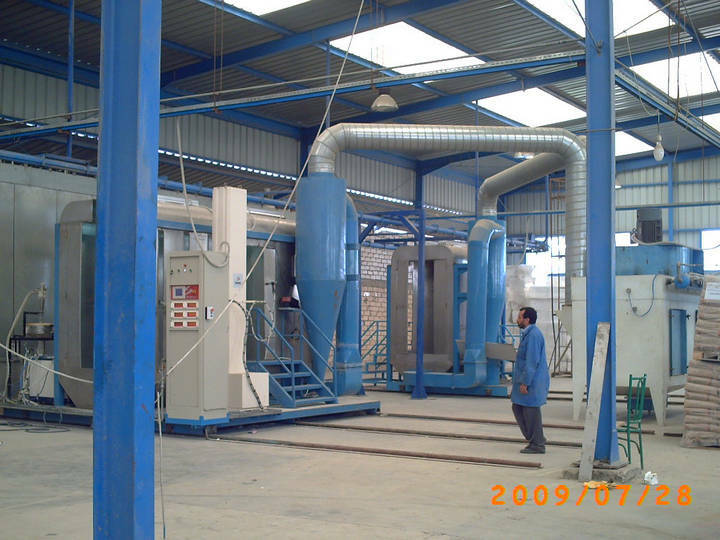 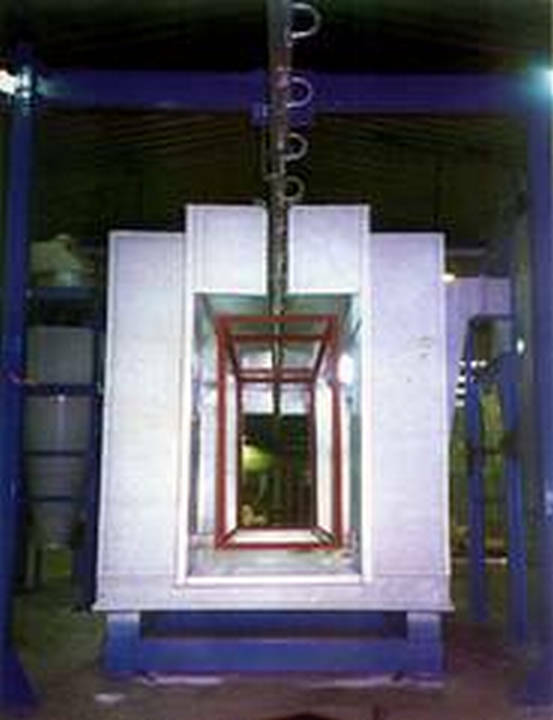 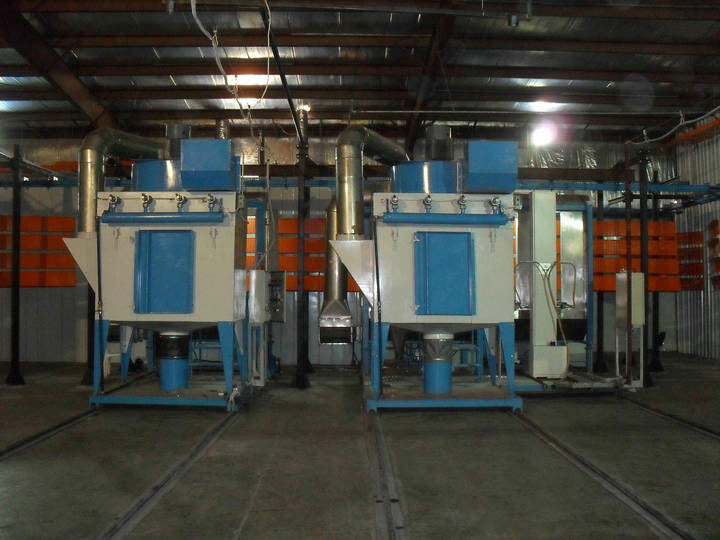 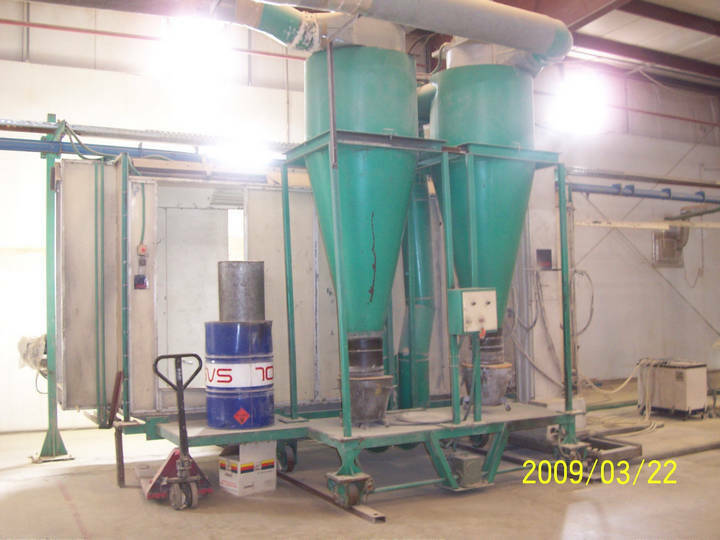 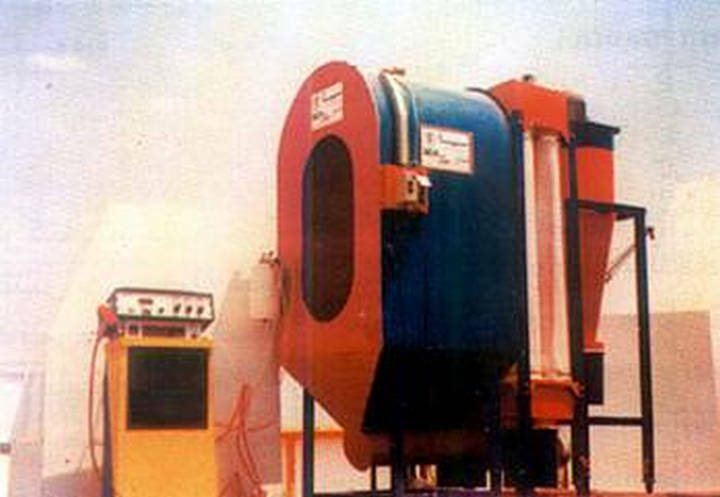 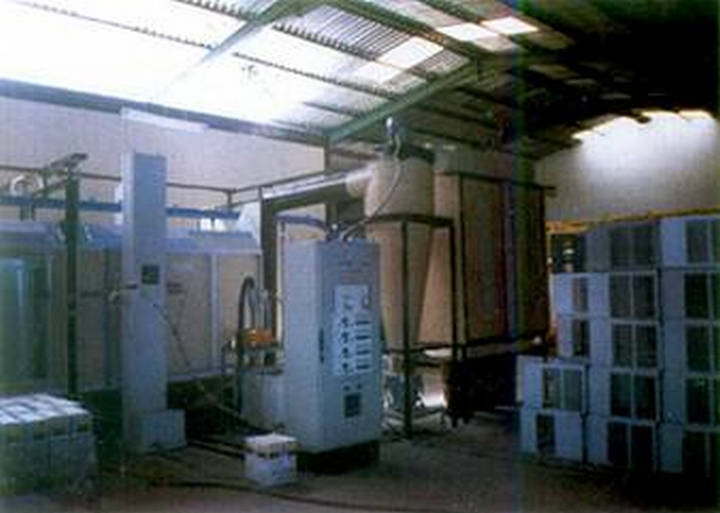 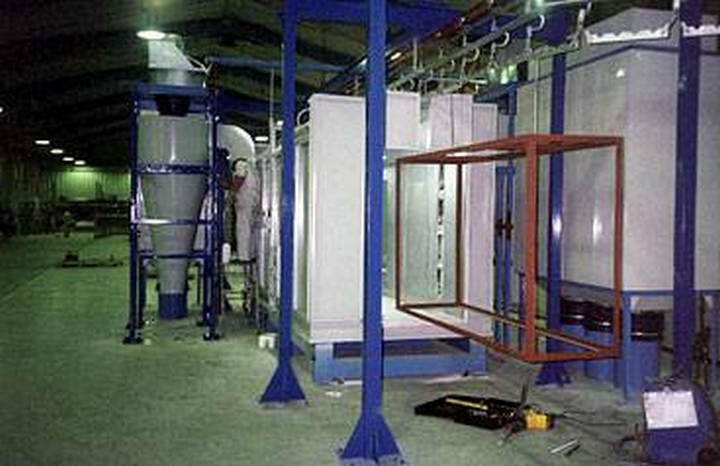 Standard booth (BIBI) made of painted galvanized steel sheet panels or Stainless Steel panels it equipped with a cyclone and filter to collect powder by a means of powerful motors. 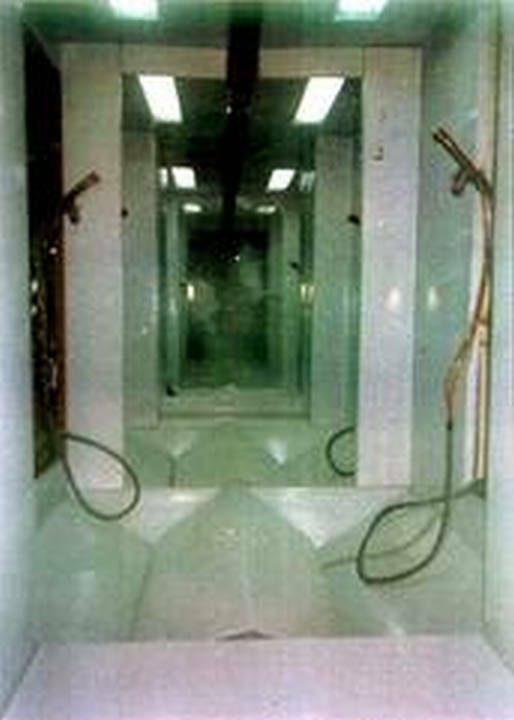 Booth is equipped with the necessary light and switch for operating . 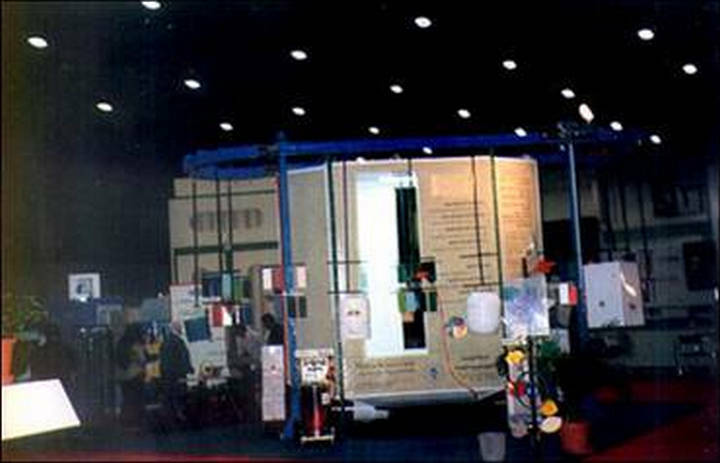 Booth is complete with working opening for Manual & Automatic Guns and two vestibules for the path of the work pieces. 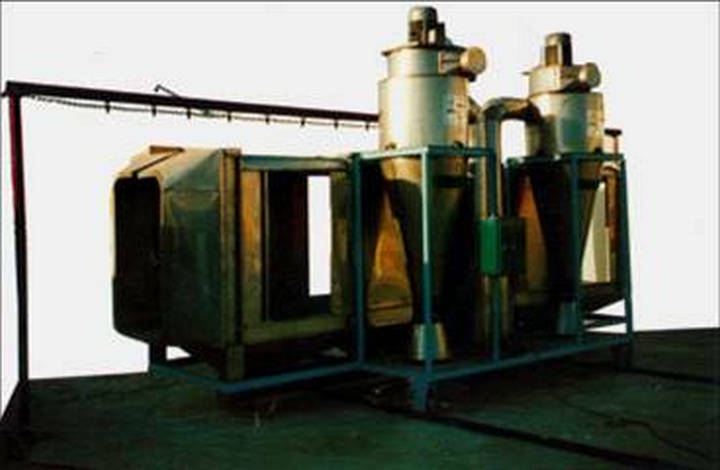 Automatic decolmat filter cartridge type.